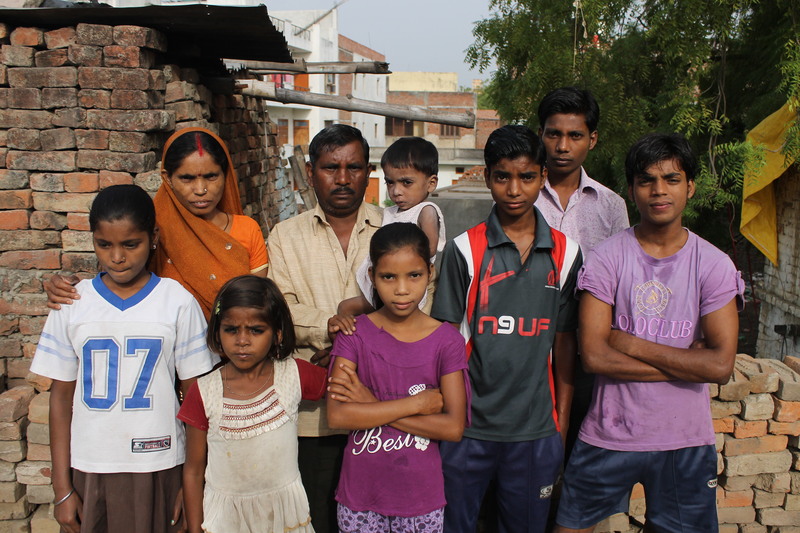 Two new teenagers where admitted in FairMail India, after a month long trial period, in June 2012 : Chandra Shekhar and Suman Rao, both 15 years old. The two vacancies came free due to retirement of Dhiraj Kannaujia and Akaashh Ram after turning 19 years old. Both new teenagers were selected mainly due to their family circumstances. But decisive in their favour was also their strong motivation to join FairMail, both having the right age to participate and because FairMail was looking for one boy and one girl to join the team. We asked them both to introduce themselves to you below. We wish them the best of luck in getting the most out of their four years in FairMail! My name is Suman. I study in 8th class. My school’s name is Ashadeep Vidya Ashram. I am 15 years old. I live with my family in Nagwa which is a place in Varanasi. In my family there are 5 people. My mother, my father and my two sisters. All expenses are held by my parents. My parents work hard for my bright future. Their dream is to see me as a successful person. My mother works as a cook in a school and she works as house servant when she is done with her work at the school. My father works as laborer at construction sites to fulfill our needs. I came to know about FairMail three years ago when I started studying in Ashadeep Vidyaashram from some of the other students of Ashadeep. The thing which I like about FairMail is that volunteers come and teach so many nice things about photography also I like the games which are played by teenagers here. My dream is to be a Kathak dance teacher and to fullfill my dreams for me in my future. My first priority to spend FairMail money will be my education. My name is Chandra Shekhar but my friends call me Chandu which is short version of my name. I am 15 years old. I live in Varanasi a city of UP. I live with my parents. There are 7 people in my family ( my mother, my father, my 2 sisters, my two brothers and me). I am the 2nd child of my family. All FairMail’s teenagers are friend of mine so I came to know about FairMail from them. The thing which I like about FairMail is that it helps to those who really needy. There are many kids here in Varanasi who wants to study and also very good in it but are forced to work for their needs in their education and after that they have to leave their study because of the shortage of money. FairMail is helping few kids like those and it means a lot for them because it helps to make their future bright. In my future I want to become a good chef it is hard for my parents to afford for this kinds of education as there are more my brothers and sisters for study I am quite sure that I will reach my goal with the help of FairMail.